This is a guest post written by Meg Hayes Fisher. Having been a thoroughly invested fan of Sylvia Plath’s poetry since I first came across my mum’s battered copy of Ariel, I was apprehensive about reading The Bell Jar, Plath’s first and only full-length novel. What I love about her poems is the unrestrained emotional abandon that courses through her verse: I was interested to see how this same raw, immediate voice would be translated into full-length prose – into an ordered, coherent story. I was not disappointed. Plath is incapable of writing anything that is not deeply, and emotionally involved, and this is no exception, reading at times like the pages of a diary in fresh ink (it is, after all, semi-autobiographical). 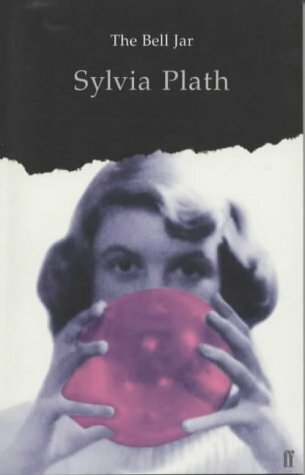 Throughout The Bell Jar Plath plots a passage of time in the early 1960s in which the protagonist Esther Greenwood (an undeniable echo of Sylvia herself), a pretty and intelligent young woman, begins a terribly sad descent into a depression and madness that almost consumes her. Beginning a seemingly positive time in her life with a bright, prospective future in front of her, Esther, having won a competition to guest-edit a magazine, moves to New York with a group of other young girls of the same age. As she adjusts to this new phase of her life she is riddled with anxiety about her virginity and various unpleasant and distressing incidents with men she meets, which lead her to the beginnings of a slow downward spiral into her own compromising negativity. Becoming further and further alienated from herself, and estranged from everyone else around her she falls headlong into the throes of a mental breakdown punctuated by attempted suicide and numerous unpleasant medical treatments amongst her worried friends and family. It is at times extremely poignant and hard to read. Even as Plath negotiates the uneasy subject of depression, she manages without fail to communicate Esther’s dislocation from herself, oscillating between numb hollowness and uncompromising intimacy and sensitivity, trapped alone inside her airless bell jar. Esther is Plath un-seamed, often described as her alter-ego: we find as much honest expression as displayed in her poetry, but more frank and stark, following the full development of her despair to her lowest points, rather than the dark pools of depression that her poetry offers. It is consistently tragic, yet never self-indulgent. The book is very relatable and moving, particularly when grafted directly onto Plath’s life. It ends with the sombre prospect of Esther facing a life-long struggle with her own demons (that Sylvia Plath famously fought with up until her death), and is haunted after by the knowledge of Plath’s own suicide the same year The Bell Jar was published. In light of this, the book for me reads like a suicide note, and every time I read it I feel the same well of pity for a young woman in the final days of her troubled life. Originally published by Heinemann in 1963 and reprinted by Faber and Faber in 2001.